If anyone can lay claim to writing the neo American classic drinking songbook, it’s George Thorogood and The Destroyers. The band’s hits include “I Drink Alone,” “If You Don’t Start Drinkin’,” “Bad to the Bone” (that’s pronounced “B-b-b-b-bad to the Bone”), “Move it on Over,” and “One Bourbon, One Scotch, One Beer.” On Saturday the rock ‘n’ roll band you either grew up grooving to live or in your dad’s car with the radio up, will be performing at the Big E for free! 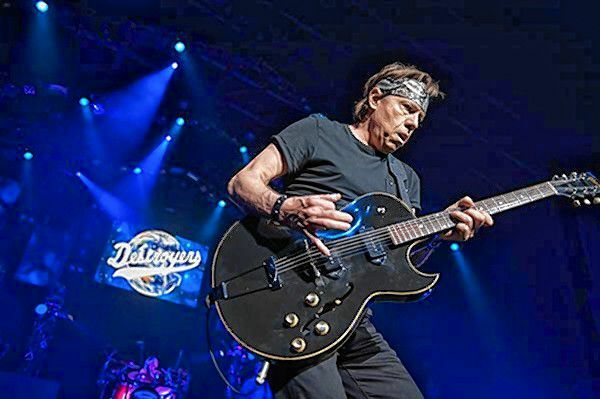 George Thorogood and The Destroyers: Sat. Oct. 1, 7:30 p.m. Free. Big E Xfinity Arena, 1395 Memorial Ave., West Springfield.